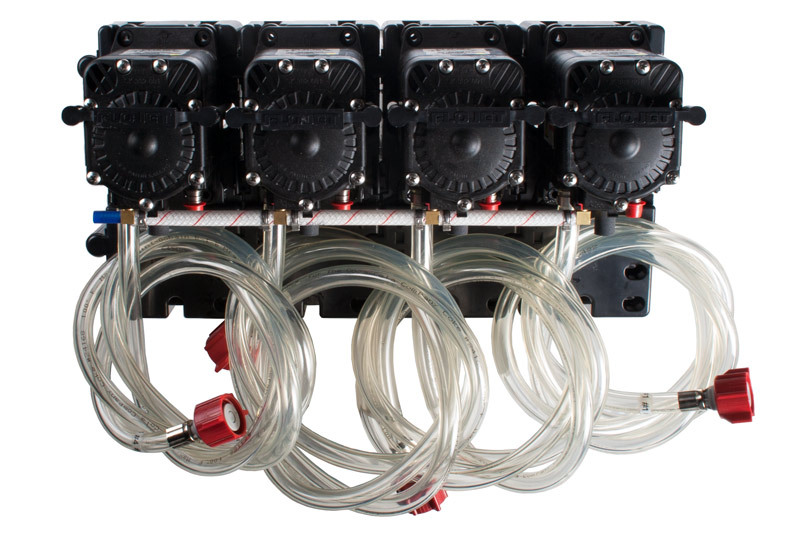 Four (4) Flojet G55 series pumps with BIB hose and BIB connects mounted on pump brackets. Comes with all necessary fittings. Bag-in-box (BIB) hose and connectors are included. Your choice of BIB connector types—mix and match! Each holder interlocks and keeps the pumps standing outward. 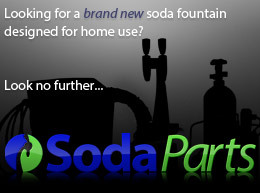 Additional pumps and holders can be purchased and connected together. Perfect for limited space installation. Each bracket measures 4" W x 2.875" D x 8.75" H. Holes molded in each holder for easy mounting.